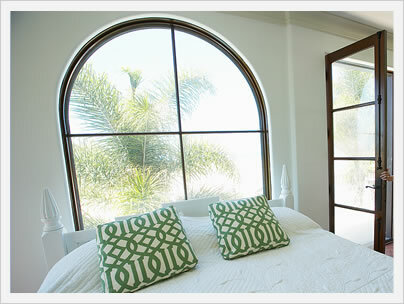 Impact hurricane windows are windows that are built to withstand severe storms and hurricane-like conditions. They are usually sold primarily in eastern and southern coastal states such as Florida and Georgia. Impact windows are strong durable windows they can stand up to severe storms. The most important feature of a hurricane impact window is the use of laminated glass instead of a low E or clear glass. Laminated glass is actually two thin glass panes that have an interlayer in between that allows the glass to spider instead of shatter when struck hard by an object. The result is not only a stronger glass that can actually withstand direct hits, but also one that will not pop out and allow air to enter into the home. This is especially important during severe storms or hurricanes when the difference in pressure between the outside and inside can cause the air to rush into the home and even blow off the roof. Impact windows cost anywhere from $80 to $125 per sf fully installed fully installed. This makes them roughly comparable to wood window costs. Impact windows can be made from either vinyl, aluminum or using an interior wood with an exterior fiberglass, vinyl or aluminum cladding. There are a number of upgrades and add on that will affect the overall price, including the use of laminated glass, exterior frame colors, and the type of installation required. There is a wide array of impact window manufactures that run from entry-level prices all the way up to the premium price range. The prices below are per square foot - click to see how we calculate window prices per square foot. 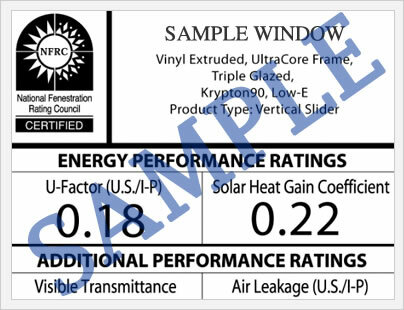 The most important rating for window design pressure. Design pressure or DP measures the amount of wind that a window can withstand from both directions for a period of 10 seconds. In order for a window to be designated an impact hurricane window, it must attain a DP 45 or higher rating. A DP55 is really all you need for most coastal areas. Most impact windows will deliver quality performance numbers due to the tightness of the window. They should deliver a U factor of less than .30 and an SHGC number less than .30 as well. Every hurricane window will have its own unique warranty and terms associated with it. In general, vinyl impact windows should carry a lifetime warranty on the mainframe, sash and all component parts. 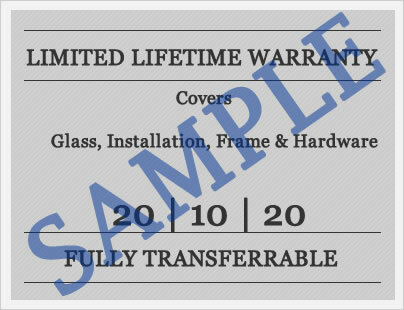 The laminated glass should carry a warranty between 10 and 30 years, many of them prorated after 10 to 15 years. Please visit individual manufacturing pages to find the specific warranty information on the product that you are interested in purchasing.